Barleycorn Removals and Storage offer high quality domestic and commercial removals services in Wallingford, Reading, Oxford and the surrounding areas. To destinations throughout the U.K and Europe. 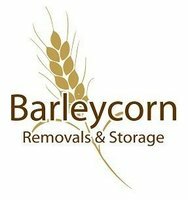 Barleycorn Removals and Storage offer removals with high levels of professionalism and customer care and are recommended by customers and estate agents alike. Please get in touch for a free quote. Chris and his team moved us last week to Hampshire and they couldn't have done a more professional job. They were courteous, polite and most of all exceptionally careful! We had another quote from a national removals company but very pleased we went with a local business. I cant recommend them highly enough! The Barleycorn team did a fantastic job moving us to the Isle of Wight. They were professional, courteous, helpful and worked extremely hard. A great team who took the stress out of move day. I can't recommend them highly enough. Having worked with Barleycorn Removals & Storage at Mayfair Quarters for some time and recommended them to our clients, we have been really thrilled with the high levels of service and quality of their work. Chris has been amazing dealing with complex moves with small timelines and virtually no parking or lift access. However, he's managed to execute every move thoughtfully and brilliantly. We are delighted that through our great working relationship his firm have helped us put together the Business2Schools initiative. We are looking forward to providing much better infrastructure for schools and love seeing the Barleycorn lorries around Mayfair and the City picking up great furniture and tech being donated to schools. We can highly recommend his firm. Eminently professional and friendly service from the first moment to the last. Everything was done to time and very useful advice was given. All involved were cheerful and helpful; nothing was damaged and the move could not have been more speedily completed. One can use Barleycorn with total confidence. It was snowing and roads to our house not good but they persisted with good cheer and efficiency. They were very careful with breakables and very helpful negotiating a small access with large items to the extent of having to remove door!! They also put together beds and worked tirelessly until late in the evening when they had to make return journey in icy conditions. Chris and his team provided a really perfect and on-time service for our house move. We had advice on preparing for the move, and the day before and on the day his team loaded carefully and efficiently - even managing to extract rather large furniture down narrow stairs with no damage to furniture or stairs. On arrival at the new address the team worked hard to get everything in the right places. Nothing was broken or damaged throughout. Added to this you couldn't ask for a nicer team of people - always polite, calm and considerate. Barleycorn were easy to communicate with - a really personal service. I thoroughly recommend Barleycorn and would certainly use them again. I would completely recommend Barleycorn to move you. From the first contact, they were very friendly, flexible about dates and helpful with practical advice.Nothing was too much trouble. On the day, the team were nice to have around, polite and good-humoured, very hard-working, careful with our belongings and willing to go the extra mile to make everything go as smoothly as possible. It was a great service at a fair price. Chris and his team were excellent. The pre-move survey was thorough and detailed and quite was very competitive. His team were well disciplined, scrupulously tide and efficient, and yet at no point on moving day did we feel pressured to get out of their way. They were patient and sympathetic to our needs in the day. Would definitely recommend. From the moment they arrived at our old house to pack our stuff for storage, where it stayed safe & dry for 3 months. To when they delivered it all to our new home 250 miles away in remote Cumbria. I could not fault Chris or his team, the cost was bang on estimate, nothing was damaged-we were worried about putting electronics is storage, but everything is fine. Have already recommended them to friends.